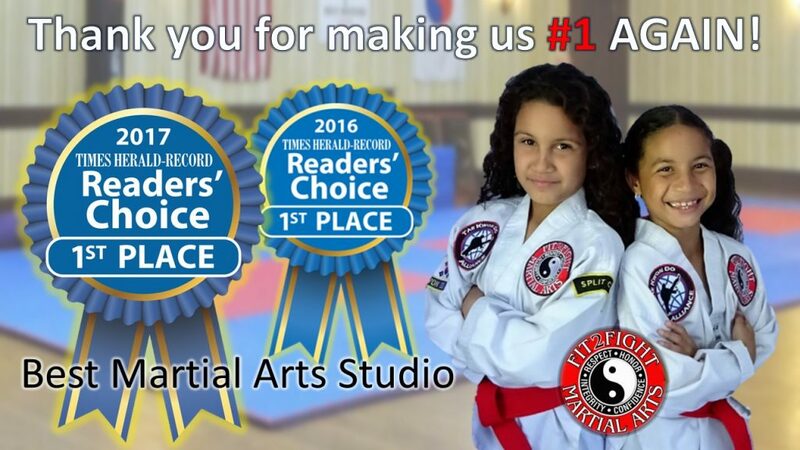 We are humbled and blessed to be voted #1 BEST MARTIAL ARTS STUDIO in the region for the second year in a row! THANK YOU to our students, families and supporters… Our Fit2Fight family is truly a special group – dedicated students and parents supporting and encouraging each other, demonstrating the true spirit of Taekwondo. Whether it be our Kids Classes, Ladies Only Classes, Adult Classes or Self-Defense Workshops – we are all working towards the same goal… improving focus and fitness while developing practical self-defense skills. Our small class sizes and family setting create a supportive and engaging environment, allowing all students to succeed and make us the premier Martial Arts Studio in the region! We dream big…set goals…take action – we are Fit2Fight Martial Arts!